Locally Owned & Operated by Majorly Organized, LLC as an authorized franchisee of Major Organizers. Scroll Down To See Some Of Our Testimonials! Deanna and Janet were efficient, energized and experienced. The project included moving, unpacking, and sorting 60 or more cardboard boxes out of storage and repacking “keep” items back into clear plastic bins that were categorically organized and moved back into storage where they are now easily accessible. Excellent! Everyone was so positive, prompt, and professional. I would do it all over again and will likely hire them for more help! The team was fantastic! They were able to accomplish a ton in what was a short period of time. They walked me through how they were thinking about organizing which will be helpful for me in keeping everything organized! Highly recommend them! Deanna was a joy to work with. She was amazing at finding just the right place for everything. I would recommend her to anyone who needs help after moving into a new home. I will probably hire her again for other rooms in the future. Thank you for everything! My office was so messy I couldn’t walk in it and I was too overwhelmed to do it myself. Plus, it just takes time which I can’t seem to make myself carve it out. Stacey came in and we threw away 5 heavy bags, oodles of recycling and some give-a-way stuff. I truly feel more liberated (and tired-in a good way). Now I can work myself some and make progress on my own. In July of 2015 my husband and I bought some property to build a house. A promise I made to myself was to touch everything I own at the old house and decide if the object being considered is relevant to my current life or if I was holding on to it because i had paid a lot of money for it, keeping it for “just in case I might need it some day or if there is a “precious memory attached to it. ect. Debbie and started this project in August 3,2015 (I’m writing this Dec. 6, 2016, we’re not done yet). I am a collector, bargain seeker, tendency to a hoarder, and be prepared for whatever shopper. Along with those qualities I have difficulty making a decision. With Debbie’s assistance I can talk thoughts I have about the object to determine what is the best action to take, keep, donate or throw away. Another service she provides is to take the boxes of give-aways to the donation center as sometimes they get hung up in the back of my car. Yes, sometimes I have the urge to declutter before out next appointment, and I strive to save the energy for sorting, filing, or decluttering my information collection of both physical paper and magazines and virtual computer info which only I can do. If a person feeling stuck or wants a new beginning, decluttering and organizing is a quick way to accomplish that goal. It is a simple task no special training yet for some people it can be the most difficult experience. It’s very helpful to have assistance. I have worked with Major Organizer’s many time and am always impressed with the level of professionalism, diligence, and organizational abilities of every work. I feel so liberated. They leave my house clean as well as organized. Thank you! I’ve been liberated! Has made such a difference in the way we live. Absolutely worthwhile and life changing! Makes cleaning so much easier. Everything has a home. Sarah was awesome to work with and kept me motivated from start to finish! Kara Gonzalez was excellent! She was on time, helpful, and gave great suggestions. She organized my house perfectly. I was thrilled to find out this was even a possibility! Sarah has been fun, patient, and kind, yet diligent in her work to organize my life and help me “reclaim” a part of my home. I look forward to continuing to work with her to keep things under control! Thanks! I am so grateful to Christina and Major Mom for helping us get organized after our son moved back home to work with us in our remodeling/handyman business, and I had to empty my storage room for him to use. I was totally stalled, but once Christina started categorizing, I was able to jump in, and together we made tremendous progress. She helped me repurpose a closet for the things I wanted to keep and helped me dispose of the rest. Next up: Re-organizing our home office! Littleton, CO. Co-founder, A Master’s Hands, LLC. I wasn’t sure if I wanted to spend the money to have my home organized but, when I (78 yr. old Widower) realized I was watching the TV show “Hoarders” two things came to mind. 1. I was not a hoarder YET. 2. I was close to it. So, I bit the bullet and called Major Mom. In the initial interview, I was made aware that a big part of my problem was, Many, Many years of accumulating all kinds of stuff such as, Saved paperwork (Never know when you might need your 15 years old credit card statement or, paper copy of 12 year old bank statement along with all the cancelled checks. All drawers, file cabinets full and, storage boxes lining some of the walls. All my suits, Sport Coats shirts, trousers, etc. going back over 20 years and, several sizes too small. I just hate it when my clothes shrink due to excessive years of storage ;-). Of course, I thought I needed many years of old magazines, etc. Needless to say, I had to keep my Deceased (Over 8 years) wife’s clothes. Yes, all three closets full. Wendy, My Major Mom Certified Professional organizer (CPO). pointed out that if a got rid of some of my stuff, I might have places to put all the “Stuff” that was all over the floors, etc. I signed up for 30 Hrs. of organizing. Took a deep breath when, I saw how much it would cost but, realized I had to do it or, actually interview for the Hoarder TV show in a year or so. Wendy, CPO made the process unbelievably easy. We started in the Bedroom closet which, was reduced by 75% of the stuff I had when we started, the process continued throughout the house usually a couple of 3 hour sessions a week. Wendy would say, open a drawer, pull everything out and, then, I would sit down and she would pick up each item and, all I had to do was point to the “Trash” container; A large box she provided for “Donate”, or, another box we designated for “The Kids” and, what ever was left was placed in a box for me to put in a good place, drawer, cabinet etc. I would guess I got rid of 50% – 75% of what was in this house. Each 3 hour session I wound up with Four to Six – 39 Gal. Trash bags of “Throw Away” Stuff. Wendy filled her full size SUV usually twice and, several time she made Two to three trips to donate site. In my case, I did not care and, Goodwill was 5″ from my house. That was EACH time she came. Every time we met, there were boxes of stuff for the kids to go through and, after they got what they wanted, Wendy would make that disappear on her next visit. It should be noted that since I was a typical guy and, had left organizing cupboards, Drawers, etc. to my wife, Wendy would put “Keep” stuff back in and, organized areas like the two kitchen cupboards. Am I satisfied? YES. I do have one problem now. I have several empty drawers and shelves. But, not to worry. I will fill them up in the next several years. Please note: If, I wasn’t so Happy with Major Mom And, especially my CPO Wendy, I would never take the time to “hunt and peck” this review. Do like I did. 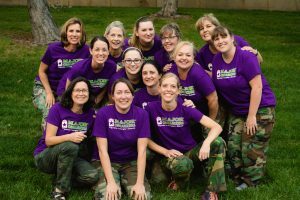 Bite the Bullet and, schedule Major Moms NOW! I smile every time I go into my bedroom. It is now a well organized, clean Mans bedroom.